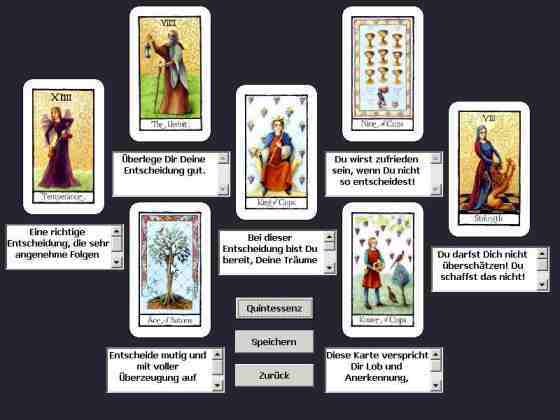 Power-Tarot works with Waite-Rider Tarot Deck. It is not possible to offer several decks in the installation package - this would encrease the package size and would cause copyrights problems. You may want to connect the programm with some another tarot deck. 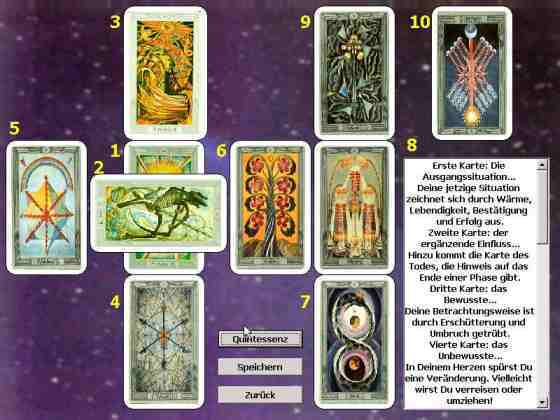 If you want so, you should copy all cards images from your deck in a certain folder, give numbers from 1 to 78 and respect the number order from our programm (see the module tarot school). 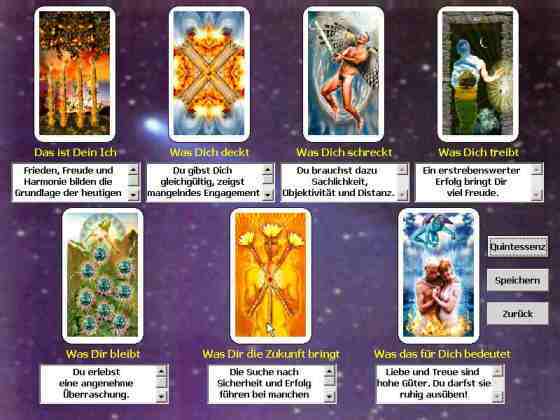 You can find here some links where you can download free of charge some other tarot decks. Isabel-Tarot Do you want to buy Isabels Dream Tarot Deck?